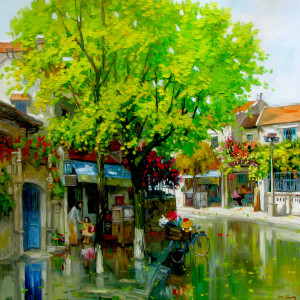 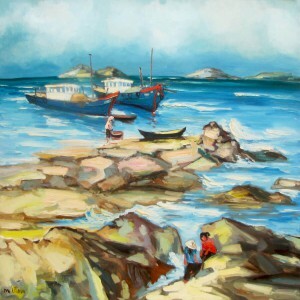 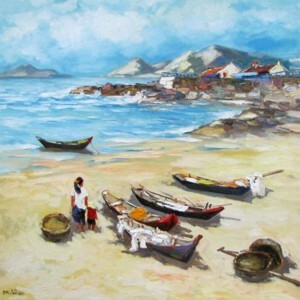 This contemporary landscape painting by Asian artist Lam Manh has a summer street scene defined by the freshness of his view. 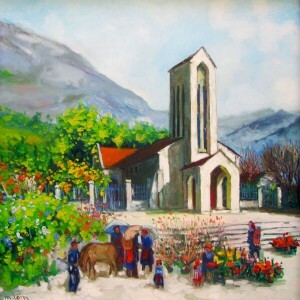 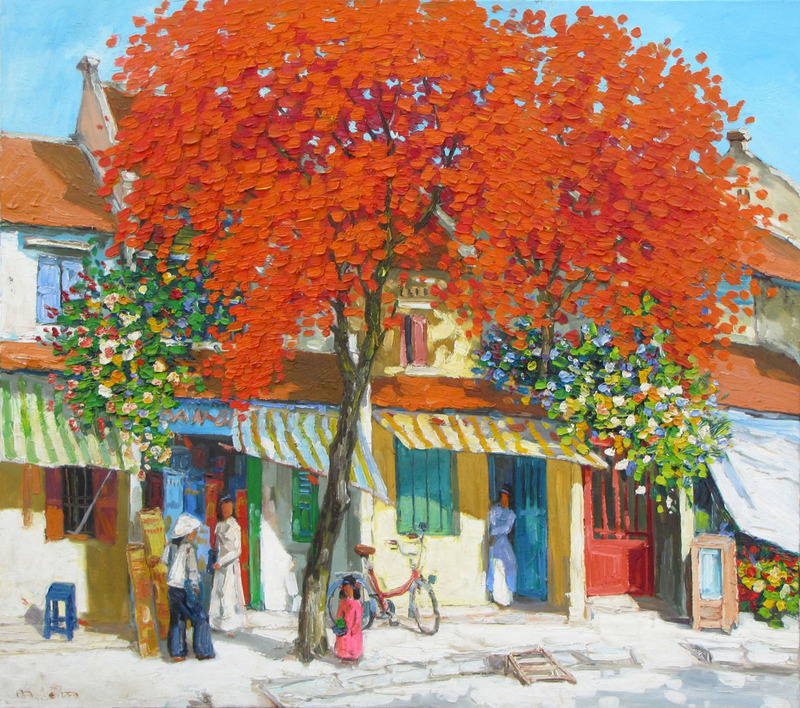 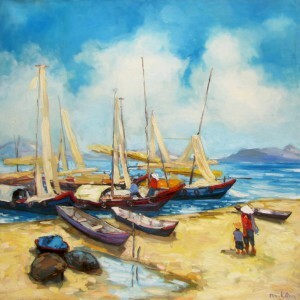 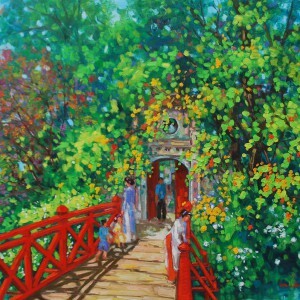 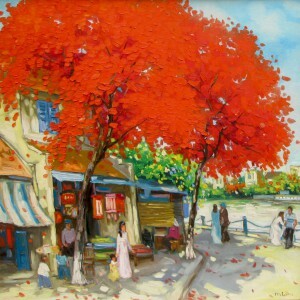 This piece has a central tree in bright orange setting the tone of the composition. 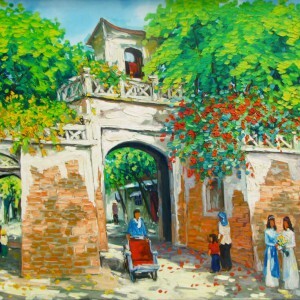 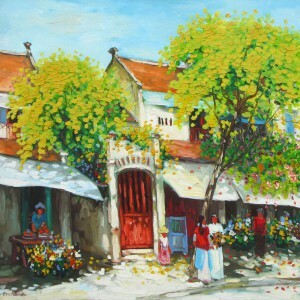 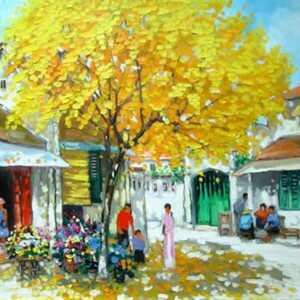 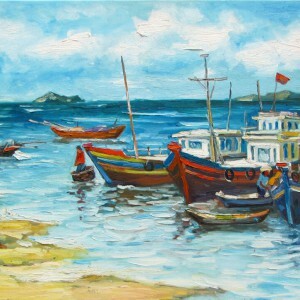 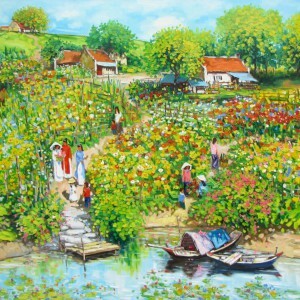 The dazzling white sunlight, the shade of the tree, the people, houses and the colorful flowers are painted around it to evoke the summery feel eloquently.